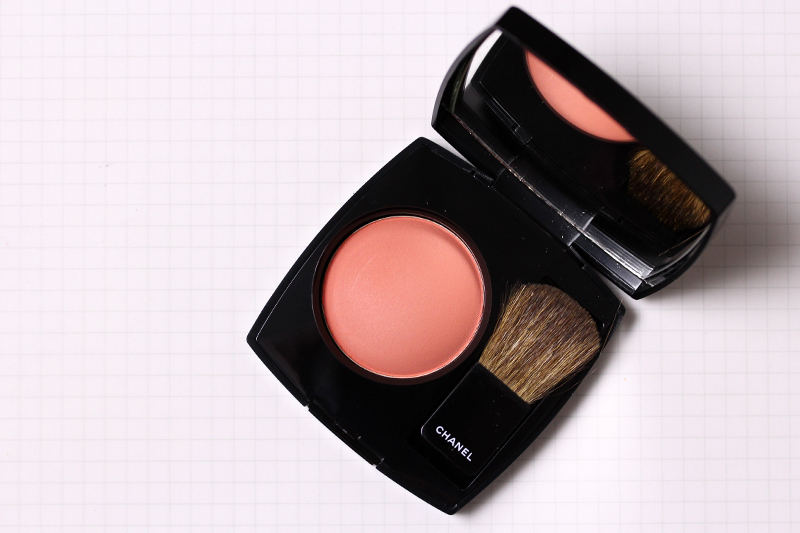 There were two items that intrigued me from Chanel Spring 2013: the pink liner and the blush. I skipped on the liner because I didn't like their eye pencil formulas and I procured the blush because of the bright, happy color. Sometimes I wish I gave a little more forethought to my purchases (though this is why I am particular about a store's return policies) because I realized after that Chanel Joues Contraste 76 Frivole ($42) bore striking resemblance to NARS Liberté, which I already own. 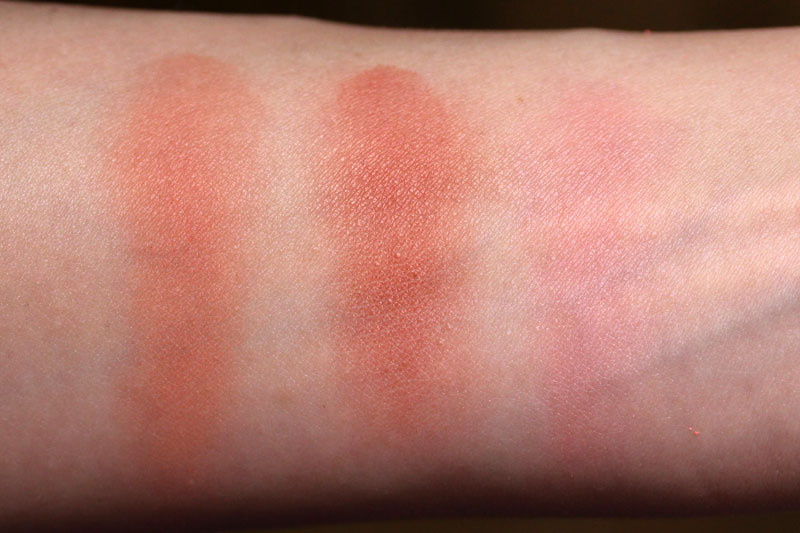 I swatched both blushes heavily to make sure I had a true representation of the shades. Frivole and Liberté are similar though not exact dupes. Frivole is a peachier orange while Liberté leans more red. 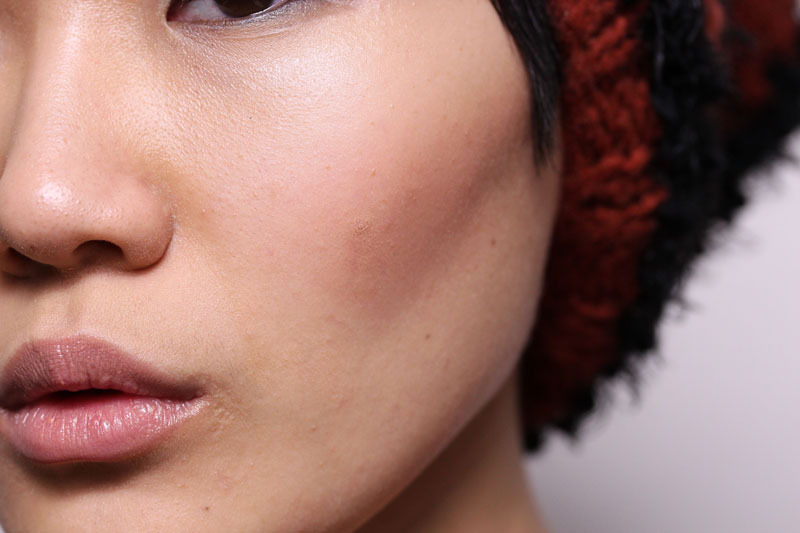 When applied to the cheeks, the difference is barely noticeable. If I was to be a stickler about it, I'd say Frivole pulls just a tad more orange and is comparatively less wearable on me (but remember, I'm neutral cool). I think it's because Liberté draws out the pink in my skintone. That said, unless you were looking at both cheeks with a macro lens (like below) you wouldn't notice. Thus, I'd say those who already own Liberté can skip Frivole, unless you have a particular preference for Chanel blush formulas. 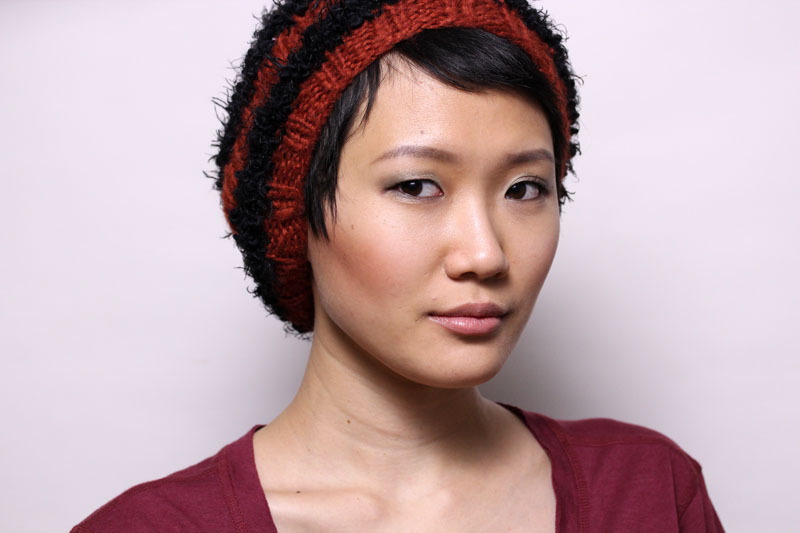 Funny anecdote about the beanie: I had lunch with a reader a few days ago (hi Joanne!). When I told her I didn't drink coffee, she reacted in surprise. She pegged me as this cool coffee-drinking hipster-dressing type based on my blog, which... couldn't be further away from the truth. Except I bought this beanie and it totally fitted into that mould. 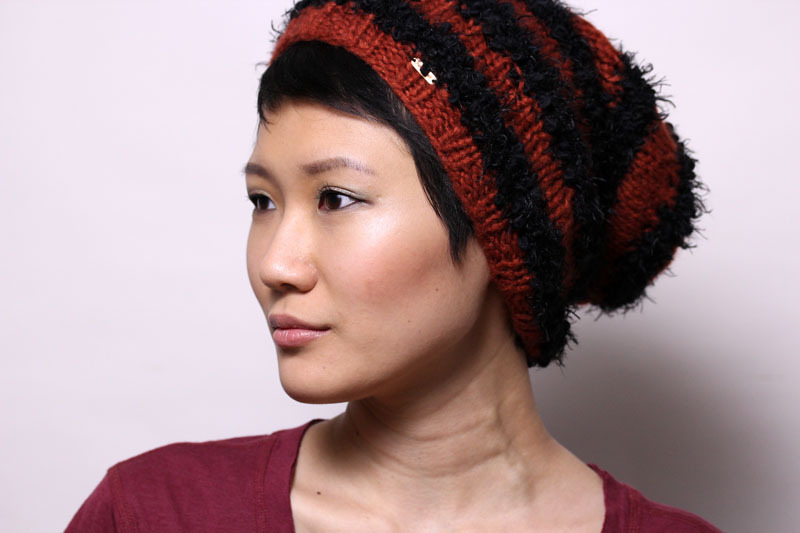 This beanie - the color, the style - does not fit my regular "style." In fact, it clashes with just about everything in my wardrobe. I was originally going to post this up and ask if I should return it, but for some reason now I love it way too much, so I removed the price tag and all you guys get are pictures of me wearing it. There. Since I don't own Liberte, I'm still really interested in Frivole! I'm with Sunny, since I don't own the NARS blush I'm almost positive I'll invest in Frivole. Funny, when I first saw pics of Frivole, I thought it looked a lot like Liberte. I don't own either, but I'm not sure that either would work on my fair/ neutral-cool skin. Since both will be permanent, I guess there's no rush for me to decide. 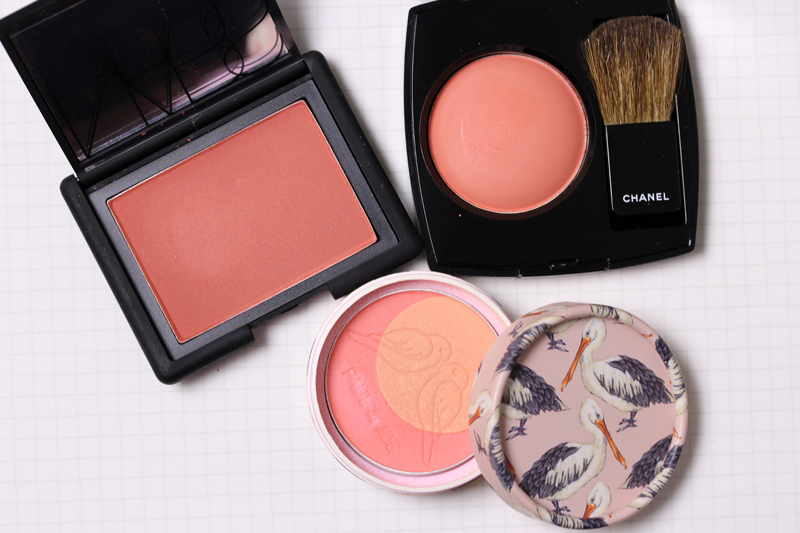 I think both blushes look great on you! I don't own either, but Liberte might show up a little better on me since it is just a tad deeper in tone. The red tones in Liberte makes it just a little bit more wearable on me! Just a bit concerned about the odd lumps on your neck, it might be worth going to the doctor to get the all clear that there is nothing wrong. I passed on Liberte because of some of the ingredients in the NARS blushes (I already own five but have stopped buying them since I discovered this), but I did like the look of it - I'll have to try out Frivole I think first as it may be horrid on me, but it intrigues me nonetheless! I think you can pull off both howver, Xiao! I like Liberte on you better but Frivole intrigues me. I really like the look of Frivole, then again I go weak in the knees for anything orange! I hesitated with Liberte as I thought it might be too red and my cheeks easily flare up anyway, so I appreciate the comparison :) Oh and I've been meaning to say - your haircut is so chic! I love it. This *is* a happy colour. :) I think it's still too red for me, so it won't agree with my tendency to flush easily. By the way, I dig the hat!